Why choose Nuffield Health Glasgow Hospital for your private hip replacement? Are you seeking an experts opinion on your troubling hip pain and whether surgery could be the best longterm solution? At Nuffield Health Glasgow Hospital our orthopaedic consultants are highly experienced in lower limb injury and can provide you with rapid access to hip replacement surgery or the most effective solution to your hip trouble. At Nuffield Health Glasgow Hospital our consultants have built an exceptional reputation in the local area by providing patients with individually tailored treatment plans, designed to get you back to your feet and enjoying the things you love. Many of our skilled orthopaedic consultants have been practicing out of our Glasgow hospital for years. As a result, they are known personally by a number of previous patients. Our consultants continue to build trust and loyalty with the community by providing a warm, relaxed and professional service to all patients who decide to go private for their orthopaedic treatment. As well as a treatment plan inclusive of all costs, we also help patients on their path to recovery through our exclusive Recovery Plus Programme, at no extra charge. Recovery Plus enables patients to take part in post-surgery rehabilitation sessions with our experienced in-house physiotherapy team. This exclusive programme is available for a range of orthopaedic treatments, including hip replacement surgery. Alternatively you can continue your aftercare at one of our sister gyms in Glasgow or surrounding areas if that's more convenient, which are located on Finnieston Street, Giffnock or East Kilbride. 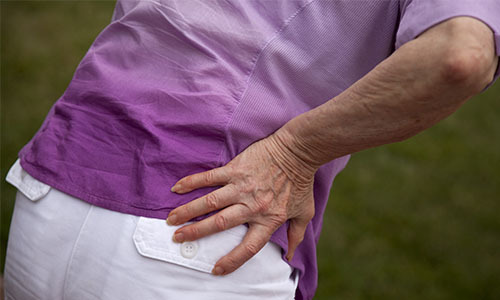 If you are suffering from prolonged hip pain and want to discuss your treatment options with one of our consultants in Glasgow, you will need to book a private consultation via our dedicated enquiry team on 01413 349 441. Please let the enquiry handler know if you have had any recent X-rays or scans when booking your consultation, as there will be additional charges for any diagnostic imaging.